Richard Brandenburg is a San Francisco Bay Area singer, songwriter, and performer known for his fine, expressive lead and harmony singing and well-crafted songs that reflect his deep love of early country music. His traditionally rooted songwriting has drawn praise for the authenticity and authority of its narrative voice and for its unique, timeless melodies. His CD “Flickering Dreams” features fifteen of his original songs, with vocal and instrumental accompaniment by Kathy Kallick, John Reischman, Tony Marcus and Matt Dudman. He has also recently published “Weepers, Sleepers & Keepers”, a compilation of 25 lesser-known bluegrass and country gems. The book includes lyric sheets, notes, and a CD and digital download of Richard singing and playing each song. Richard leads the weekly bluegrass and country jam at Berkeley’s traditional music venue the Freight and Salvage where he also teaches his popular “Singing From Inside the Song” vocal workshop, “Flatpicking Fundamentals” guitar class, and bluegrass and country repertoire courses. 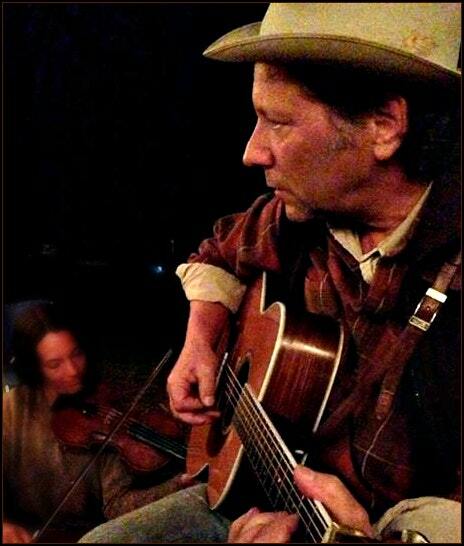 Richard has also taught classes and workshops at California Coast Music Camp, Puget Sound Guitar Workshop, Walker Creek Music Camp, and California Bluegrass Association Music Camp.